Lewandowski will lead the line for Bayern in Madrid. 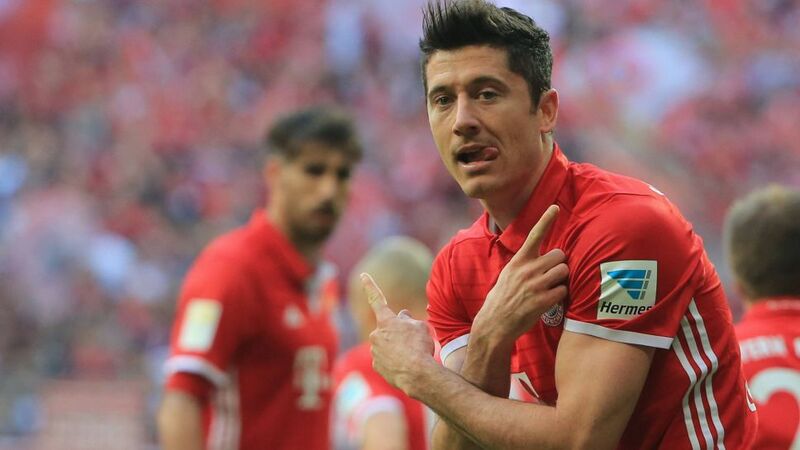 Bayern Munich welcome back top scorer Robert Lewandowski and centre-backs Jerome Boateng and Mats Hummels for their UEFA Champions League quarter-final second leg clash against Real Madrid on Tuesday (kick-off: 20:45 CEST/18:45 GMT). The Poland captain missed the first leg at the Allianz Arena with a shoulder injury sustained in Bayern’s 4-1 Klassiker victory over Borussia Dortmund the Saturday before last, but he took part in training on Sunday and will lead the line once again with Thomas Müller dropping to the bench. Boateng and Hummels have both recovered from injury to be named in the starting XI, after coach Carlo Ancelotti has drafted 30-year-old centre-back Nicolas Feldhahn from the reserves, with Javi Martinez suspended. The returning Lewandowski has scored seven times in this season’s Champions League, as well as a league-high 26 goals in the Bundesliga.The Pole scored all four goals for Dortmund when they beat Real 4-1 in the semi-finals of the 2012/13 season. BVB subsequently lost to Bayern in the final.Ancelotti coached Real to their 10th European title in 2014. Arjen Robben and Xabi Alonso have each been on the Madrid club’s books, whilst Real’s Toni Kroos was a Bayern player from 2007 to 2014, scoring 13 goals in 130 Bundesliga games.This second leg is the 24th meeting between Bayern and Real, making it the most played fixture in European football history.This is Bayern’s 16th Champions League quarter-final. No club has reached this stage more often.Bayern have been European champions five times (1973/74, 1974/75, 1975/76, 2000/01, 2012/13). Follow all the build-up, match action and reaction right this way!